Scotland has just been voted the most beautiful country in the world and its iconic scenery is the inspiration behind this new range of silver jewellery by Jo Pudelko. The inspiration behind the collection came when Jo was creating a gift for her partner, a keen hill walker. 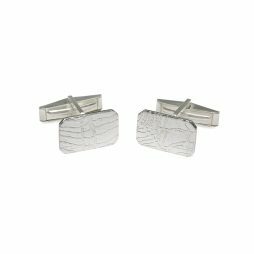 Taking a section of map from his favourite Munro – Buachaille Etive Mòr, generally known to climbers simply as The Buachaille, she created a pair of textural cufflinks etched with the contour lines from this mountain at the head of Glen Etive in the Highlands of Scotland. From this piece, a whole collection has developed that examines Scotland’s natural environment and the relationship we have with it through the lens of cartography or mapmaking. Map making is our way of making sense of the natural environment in which we exist and Jo Pudelko is heavily inspired by the unique combination of science, aesthetics and technique found in maps. Typically she works with historical maps for their qualities of line and typography. 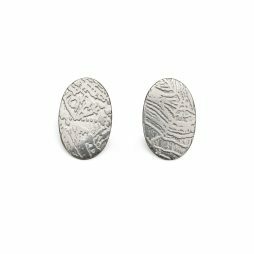 Jewellery pieces are created through the etching process where details from a chosen map are etched onto the surface of a sheet of Sterling Silver. Individual sections are then hand pierced from the sheet and turned into finished pieces of jewellery. 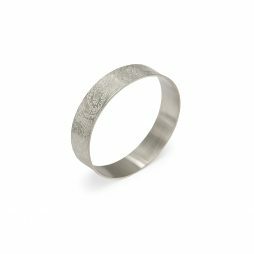 Rings and bracelets are have a contrasting matt, brushed texture on the inside and a contrasting highly polished, burnished edge. 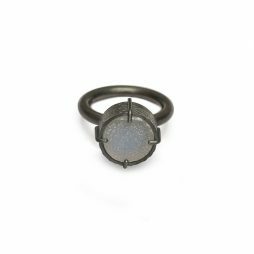 Other pieces feature an oxidized finish which is buffed back to reveal more of the patterned surface. 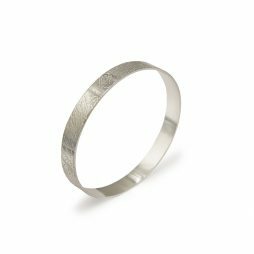 All materials and manufacturing are sourced from within the UK and recycled silver is used wherever possible. The Contour Collection is a beautiful body of work that everyone can identify with. Each piece tells a story about you and your place within the stunning Scottish landscape…where you come from or where you celebrated a particular moment. Please get in touch if you would like to commission a piece that reflects a particular place or a special Munro summit!